physical therapy. It is from Newsletter #4 which can be found with the rest of his newsletters in the Newsletters section of Swodeam.com. The reason for this editorial is that I have noticed lately that PTs on my courses have varying and often incorrect ideas on why they are using numeric or visual analogue pain scales and I would like to give my perspective on the issue. Over the past few years there has been a move towards using a numeric scale for rating pain. There is little doubt that this move has been accelerated, if not initiated, by the US insurance companies who are for the large part demanding its use on their forms. But leaving the troubled waters of insurance companies aside, the question needs to be asked whether or not using a visual analogue scale or a numeric scale for pain grading is clinically such a good idea. The use of these types of scales goes back to research so that reports of pain intensity could be standardized on an ordinal scale so used to staticize (is that a word?) changes in pain intensity with interventions of interest. The scales were not intended for clinical use although they are utilized here more than anywhere else. To me the most ridiculous aspect of pain scales is their use period. For a profession that is trying to become more scientific you have to wonder at the use of a measure that has been validated against a gold standard that itself was previously in widespread use, was cheap and required little training to use. The gold standard of the validity studies for the pain scales was the patients report of pain intensity. Somebody out there please explain the logic and science of this. Some of the reasons for using a numeric pain scale (and this discussion will concentrate on the numeric scale as this is the pre-eminent scale in clinical practice) is that compared to a verbal description of pain intensity it is that it is more objective, that it provides absolute levels of the patients pain, that it more easily demonstrates changes, that the patient understands it better, that the therapist understands it better, that it is more scientific, that the insurance companies require it. With the exceptions of the last two arguments none of the above are at all true. It is certainly not more objective just because you write down a number in place of a word, in fact it is arguable that it is less objective. First the scale has to be understood by the therapist, then it must be explained to the patient who then has to convert his/her pain experience into an unfamiliar scale, then the therapist has to convert the patients conversion into his/her conception of the scale. Without detailed training in the scale by both the therapist and the patient there is no compelling reason to believe that these conversions result in an accurate understanding of the patients pain level by the therapist. Further, pain is not an objective experience but a subjective one and no amount of fiddling with scales will make it objective, so the attempt to do so is just plain silly. Lets look at objectivity in the explanation of the scale, because even if the scale was objective, a subjective explanation of the scale would negate such objectivity even if it existed. It is the upper end of the scale that is problematic. The 10 is variously described as emergency room pain, the worse pain you can imagine, labor pain, suicide pain, and so on. For me the worse pain imaginable is having a large rusty, red hot, blunt knife inserted into a particularly sensitive body part and twisted compared to this pretty much all musculoskeletal pain would pale into insignificance. What now is a 3 on this scale. None of these descriptors are any more objective than saying the patient a 10 is excruciating pain that is intolerable and requires immediate and profound medication. As you can see the so-called objective scale is made subjective by describing the 10 in terms of subjective experience. Even given, for the sake of argument, that the 10 is objective how objective is the 8. Is this excruciating, severe or moderately severe. No this scale is not more objective than words and is likely to be less precise. 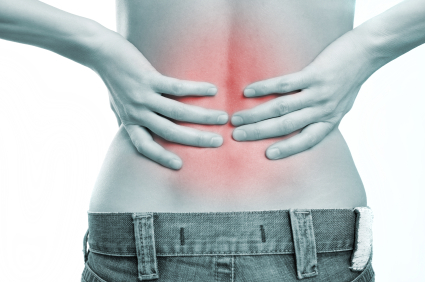 How do you measure back pain? That the numeric pain scale is a tool that will allow the therapist to know the absolute level of the patients pain is also untrue. There are no methods yet known, and I include the dolorometer in that statement, that allow absolute levels of pain to be determined and it may be that to discuss pain in terms of absolutes is illogical anyway as pain is not a sensation but an experience. Pain is not exactly, and often is not even in the same ballpark, proportional to the noxious stimulus. The amount of pain the patient experiences for a given stimulus can vary wildly with time of day or month, mood, how ready the patient is for the pain, how much damage the patient believes is being done (that is how severe the pathology is believed to be), cultural background, etc. That these scales more easily demonstrate changes in pain than the patients words may or may not be true. But it cannot, without an awful lot of explanation, tell the therapist how the pain has behaved over a given period such as a day or a weekend with anything like the economy and detail that the patient can provide with the use of words. If the scales drops say two levels between two treatment sessions does this imply that the patient has improved by 20%. It would do if the scale was linear but is it? How did the therapist describe this aspect of the scale (my impression is that this aspect is not explained, the assumption being that the patient would understand it to be linear). But is this assumption warranted. With higher levels of pain is a drop of two levels from say a 9 to a 7 more or less significant to the patient than a two level drop from say 4 to a 2. As far as I know, there is no evidence that the patient or therapist or both understand the numeric scale better than words. And even if it were true, then it is probable that the patient would need more training in the scales than is usually given if conversion from words to numbers is to be accurately understood by both parties and to the other parties to whom that information is to be communicated. I once had a patient who was an engineer and made the scales logarithmic (bloody-minded no doubt but illuminating) so that his 3 was quite severe and changes in the pain were almost non-existent even though his pain levels dropped significantly and rapidly. We are humans and think in words and images not in numbers, unless you are a trained physicist or mathematician and probably not even then. To force the substitution of numbers for words cannot result in as accurate determination of an experience as when words are used. As far as it being more scientific, well yes it is, given that it is used in scientific research but so what. The clinical therapist is not engaged in hard-core scientific research and the tools we use should be the ones that best help us treat our patients. They are patients and not subjects after all. It is also unarguable that some insurance companies require this method of reporting and you must render unto Cesar that which is Cesars (or at least you must if you want to be paid) but this does not mean that you have to use a particular reporting method for clinical practice if it is not optimal. Prior to the rise of numeric pain scales the therapist would have a conversation with the patient that would go something like How bad is your pain? to which the patient might reply Severe. Everybody now knew what the patients description of the pain level meant. Now the conversation goes something like Zero is no pain and 10 is pain that will take you to the emergency room, now on that scale how bad is your pain? To which often comes the reply 10 leaving the therapist wondering why the patient is not at the emergency room. Or the patient says it is an 8 leaving the impression that the pain is severe. How this is different from the patient saying the pain is severe is beyond me. So for me using numeric or VA scales reduces precision in the assessment of pain intensity, tends to reduce the perceived need to dig deeper into pain behavior, gets in the way of meaningful conversation between the therapist and the patient and may reduce the patients problem from a human scale to a number scale. But I suppose that in the absence of hard evidence to the contrary and probably more importantly in the absence of an authoritarian statement repeated many times by many people over a long period, these scales are here to stay so lets see if there is a better way of using them. Rather than using the 10 to measure an absolute pain level why not use it the way it was designed to be used, to monitor changes in the patients pain as a result of time and intervention. The 10 now becomes the worse this pain has been since its onset so for example after a whiplash, the patient can state that immediately it was a 2 but on waking the next morning it was a 7 and now a week later it averages a 5 with spikes reaching 7 and lows of 0. This would suggest that there was no serious injury to muscle or bone, as typically there would be relatively immediate severe pain, but that moderate inflammation was a factor. This also leaves the patient free to state that after treatment it went to a 12 (or maybe we dont want that ability!). Or you can compare a current episode of back pain with a previous one with this episodes maximum being 10 but the previous episodes being a 15 so that you know that this episodes is maybe not half as bad as the previous episode but at least substantially less. But you are still forced to deal with the fact that only the patient knows how bad the pain is and he/she can best describe it in words. Try talking to your patients instead of measuring them. Good M, Stiller C, Zauszniewski JA, Anderson GC, Stanton-Hicks M, Grass JA. Sensation and Distress of Pain Scales: reliability, validity, and sensitivity. J Nurs Meas. 2001 Winter;9(3):219-38. Serum Cholesterol and Low Back Pain!